Fairly common in westside lowlands, ranging to higher-elevation forests in King County. In Kittitas County, fairly common at middle to high elevations. Prefers moist, fairly mature forest habitats, often with conifer component. 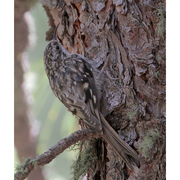 Usually builds nest under loose flap of bark on hardwood trees. 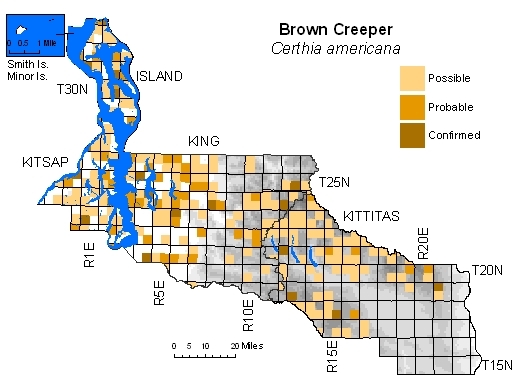 Few records from urbanized areas, and few from moderate-elevation forested blocks throughout.